SnC 284 – Endless Summer? A bit of a summery selection this week, despite the grey skies and incessant wind here in the east coast of England. We’ve the Adnams Artist of the Month for July as well as news of a brand new netlabel from a not entirely unexpected source. 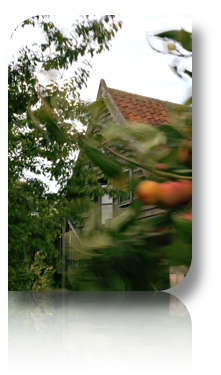 The fruit tress are getting a bit of a blattering from the wind this week but the Barn is pretty solid. A final album from long standing friends of Suffolk ’n’ Cool Deskaya who sadly disbanded in January. I’ve been playing them on the show since April 2008 and here in the barn a great deal more frequently. “We, all members of Deskaya, want to thank you for the incredible support you were for us. We cannot stop this adventure without releasing a posthumous EP with our brand new tracks. We would love to be in one of your future broadcast in order to loop the loop. We wish you all a very nice future for you and your radio. Deskaya still have a couple of albums on Jamendo which really are worth a listen and even more worth a free download. It’s always sad when a band you’ve thought had real potential stops but that potential lives on through the band members who I’m sure will have learnt a great deal in their time with Deskaya and will surely take that on into new musical adventures. All good fortune to them all. Thanks for the music over the past 8 years. Born and raised in the UK now living in Barcelona, David Phillips is a versatile musician, playing in many different styles and has released records worldwide. David lives in a roof top apartment at the top of a block of flats. When it came time to record these songs, he decided to record at home. He set up a few mics in the room that leads on to the same roof terrace where he likes to write his music. The songs are stripped down to the bare bones, just voice, a guitar (be it regular 6 string Acoustic, 3 string Cigar Box Guitar, 4 string Ukulele or Lap style Dobro), a little harmonica now and then and maybe some foot stomping. No overdubs, just live, one take and if you listen carefully you’ll hear in the background a soundscape created by the people and creatures David shares his environment with, just like any other day up there on the roof. Their self-titled album is available as a free high quality download from their Bandcamp page, which is linked from their site. Its third album, this time joined by Sandra Serrato on vocal and composition. The album will bring 4 videos, produced by the band itself. Vinagre, its more renown single in Colombia will release its official video. JARANATAMBO IS PARTY, JOY, FLAVOR AND MUSICAL EVOLUTION. With 10 tracks including a spectacular extended version of Ooee and a 10 minute bonus track, you’d be daft not to grab it! A bonus track on the excellent Rough Guide to Klezmer Music. Klezmer music seems to be striking chords all around the world right now. It seems to resonate on a pretty deep level with a lot of people even as it evolves and mutates into dynamic forms drawing on influences as diverse as gypsy, rock and hip-hop, while it remains deeply rooted in ancient Yiddish tunes. I’ve discovered that a sukke is a temporary dwelling, a hut roofed with branches where Jews spend a week every autumn, celebrating the harvest and skimping on non-essentials. They are supposed to remember their origins and return to where they came from – not Egypt and slavery, but a shack in the middle of a desert. They might have been nowhere, but at least they were free. Traditional Jewish culture is centred around the Exodus from Egypt, and the sukke serves as a reminder that we’re still on the road and that everything changes except where we’re going. Sanne Möricke lives in Berlin and is currently one of Europe’s most highly sought-after klezmer accordionists. She is a co-founder of Sukke and the acclaimed duo Khupe. Merlin Shepherd is one of the world’s leading players of traditional East European klezmer clarinet style and has been musical director for the Royal National Theatre, the Royal Shakespeare Company and Shakespeare’s Globe Theatre, London. Heiko Lehmann is one of the best-known members of the international Yiddish and klezmer scene. I had the pleasure of visiting The Queens Head, a pub at Blyford, a few miles inland from Southwold where I met up with the landlord, Lee Knights who had the task of choosing which track from July’s Suffolk’n’Cool shows would be Adnams Artist of the Month. Charles Pasi’s album “Uncaged” is available digitally and he is playing shows all over France during the summer. Sonic Mystery are Dejan and Urška Bucalo who have a series of albums on Jamendo and are active in producing work for production houses, artists, companies and institutions all around the world. The Australian moody-pop quartet The Jezabels has been all over the world and back. Upon completing their European tour in September, the four will be returning to the U.S. and Canada in November to tour with the Canadian indie rock band Hey Rosetta! The tour traverses up the West Coast starting November 8th, and runs across Canada with stops into some Northern U.S. Midwest cities, finishing in Ottawa, Ontario on November 25th. The Jezabels will also make a quick stop in New York to play a headlining show at The Mercury Lounge on November 21st. While already a well-recognized name at home, The Jezabels has been building an international buzz since their first North American shows at last year’s CMJ Music Festival in New York. The hype has escalated through Canadian Music Week, Austin’s SXSW, and Brighton’s Great Escape. The track is from their (as yet not quite completed) debut LP, Prisoner. A track from the debut release from the very new netlabel Angel Dustlaunched last week by Pete Cogle. [adr-001] Various Artists – Dust Particles, Volume One. I’m delighted that Codge has taken this step, it just follows on so naturally from his work over the past few years curating some great music on The Dub Zone, The Dub Step Zone, and PC Podcast. PAF started to play music at the age of 8. He lists his influences as Improvisator Dub, Burning Spear, Massive Attack, Interlope, U2 & Salif Keita. Apart from his own experiments in dub, he also works with the Outa Steppaz. You can find him at Myspace and Soundcloud as well as over 50 releases in Jamendo.